Adults always say to graduating college kids, “Welcome to the real world!”. Even though it’s really not horrible like they usually insinuate with their tone of voice, the welcome is appropriate – you are leaving one world and entering a completely different one. As it relates to design, I’ve been living in the “real world” now for a bit, and a couple of things just constantly keep coming to mind that I need to tell you about! When you’re in college for design or any kind of digital media, you have opportunity after opportunity to create things from start to finish, making every single decision along the way. Sure, there are requirements and criteria for every project, but you have the privilege (and are expected) to make all of the style choices yourself. Yes, this can be exhausting, but there is one thing more exhausting – having to work around someone else’s (bad) design choices. Design classes don’t really teach you how to take someone’s bad design of something and make it look good WITHOUT changing it. When you get out into this ” real world” I’m talking about, you won’t have the privilege of making all the design choices at first (or maybe ever). You will be given a bad logo, for instance, and required to slap it on everything, constantly fighting to make sure the logo stands out, but also fighting to make sure that your design pieces surrounding it mask the horribleness of the logo. It’s a battle that seems it can never be won, but it can – no matter how bad the design choice of someone else, YOU can make it work. What your college design classes absolutely taught you was how to be an EXCELLENT designer, giving you the ability to do the impossible. It will take time, and it definitely takes a lot of knowledge, but you can do it. And people will look at you and say, “wow”. When you’re in college, you’re expected to be learning and growing. So, when you make a mistake, no one will really look down on you, because that’s what you’re there for – to make mistakes and to learn and grow from them into a better designer. Likewise, when you have to support something you’ve designed, it’s okay to ramble on and use the words “font” and “typeface” interchangeably and to constantly only be thinking, “WOW – look at this great thing I designed. Isn’t it great?”, because the most important thing in your mind is pumping out great visuals. In the “real world”, good design doesn’t cut it. And great design doesn’t cut it, and not even perfect design will cut it. As beautiful as the visuals are that you create, you have to have an explanation and a purpose behind them. People will constantly doubt you, and therefore you have to walk in and out of every design project with strength, ready to tell anyone and everyone why your design is awesome, who the audience is, why you chose those colors, why there’s so much “blank space” (BARF – negative space has a purpose! ), and so much more. In college, your professors understand why you made the choices you made in a design, even if you’re not able to explain your choices yourself. They’re professors for a reason – they know more than you. But when you are in the “real world” and you’re trying to convince a store manager who just spent her last penny on fixing the gaping hole in the ceiling why YOUR design is AWESOME and could be so beneficial for them…you have to have confidence. And to have confidence, you need to know your design inside and out, and know the answer to every question an individual may ask. What’s your #1 frustrating thing in the “real world” of design and how do you overcome it? Happy Tuesday! Here’s a lovely free font download for you today. Archive is a contemporary, rounded slab typeface made up of strong geometric forms. I’ve had success using Archive for everything from headlines to footers. It’s strong yet friendly enough to use in all types of design, whether standing alone or paired with a charming, skinny serif counterpart. You can download Archive for free here. Archive was designed by Slava Kirilenko, a graphic designer from Almaty, Kazakhstan specializing in typography and branding. Check out his website or Behance profile for more creative inspiration. Typeface Tuesday is a weekly sharing of fresh, beautiful, free typefaces from all over the world. Follow @nikkirosko on Twitter and search for the hashtag #typefacetuesday for an archive of more than 25 free typefaces! New item in Nikkirosko Design’s Etsy shop! Since rustic/folk art is becoming so popular to include in wedding stationery, I decided to jump on that wagon and create something of my own. Check out this folk-rustic bridal shower invitation, sold as a (super simple) printable PDF for today’s DIY bridesmaid. Click here to view this bridal shower invitation! 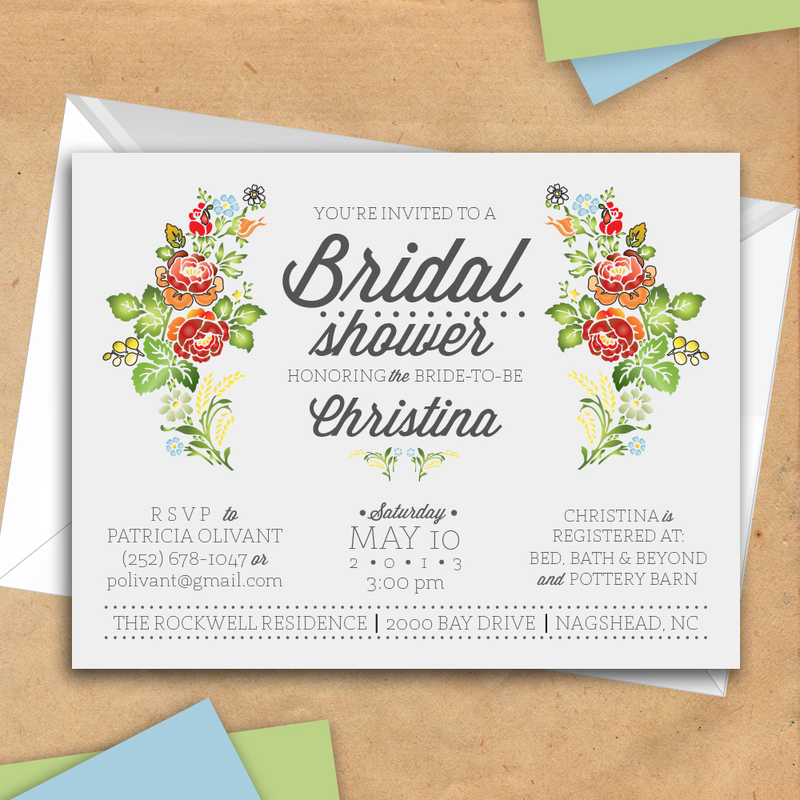 How does my bridal shower invite compare to other designs you’ve seen using folk/rustic flower accents? Davide Cariani is a UX/UI designer and web developer from Italy. True Love is inspired by the old school tattoo typography, and Cariani describes it as “modern old school”. Glyphs include letters, numbers, dash, and dot and the font is available in regular and bold. He also has a pretty sweet looking portfolio site which you can check out here. You can download his typeface True Love for free here. Bentham is an open type serif font that I often use in the body texts of invitations and announcements. It was released back in 2009, but I still find that it’s scholarly and professional enough for a graduation announcement, yet elegant enough for a wedding invitation. This serif font, unlike some other serifs, is not overbearing. I rarely come across free serif fonts that are beautiful, but this one sure is! You can see all the glyphs, test drive it, and download it for free from Font Squirrel here. Fenix is a serif typeface designed for display and long texts. Its foundations are based in calligraphy, with strong serifs and rough strokes. Its proportions seek to gain space in height and width. Fénix is elegant at large sizes and legible at the same time, with a lot of rhythm in small sizes. You can download it for free here (simply add the $0 font to your cart, and “checkout” to get your free font)! There’s a new item in Nikkirosko Design’s Etsy shop! Suitable for all seasons with customizable colors, this new wedding invitation is super affordable because you just buy the art and print yourself! Whether a vintage, chic spring wedding or a rustic, charming fall wedding, this invitation can support a lot of wedding themes. Click here to view this wedding invitation! Here are some people, sites, and blogs to follow! 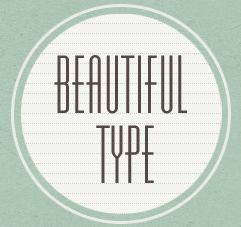 http://beautifultype.net/ – This site is just all about typographic inspiration. 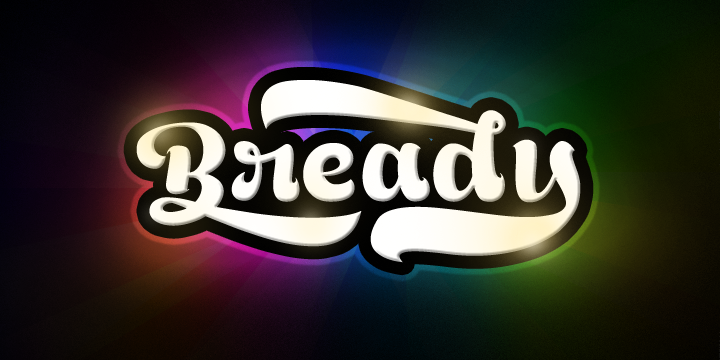 Motion graphics, calligraphy, typography…everything to get you inspired. And they really do post some amazing work! I tweeted about an animation illustrating typography’s evolution from paper to screen, and I found it on Beautiful Type. http://www.hamburgefonstiv.de/ – The title of this blog is short, and totally accurate. 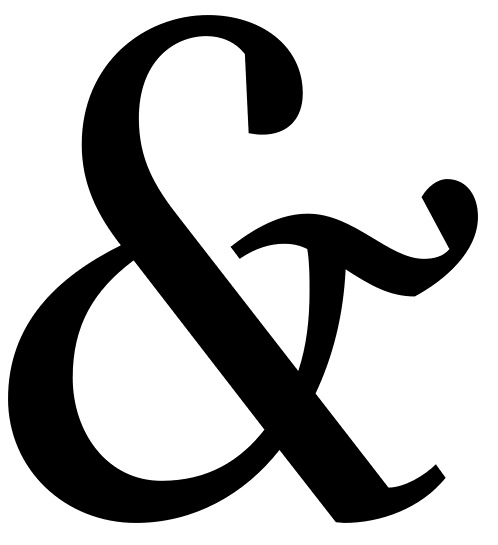 “A collection of beautiful letters”– which is exactly what this blog is, no more and no less. If you really want to geek out and just scroll through a bunch of oversized, beautiful letters, this is the place for you. http://fontsinuse.com/ – An independent archive of typography, sponsored by the Font Bureau. 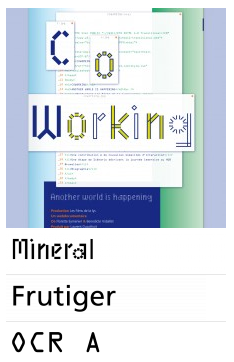 Here you can find fonts being used (hence the title of the site) in a wide variety of places. You can search by industry, format, or typeface and you could sit there for days going through them all. 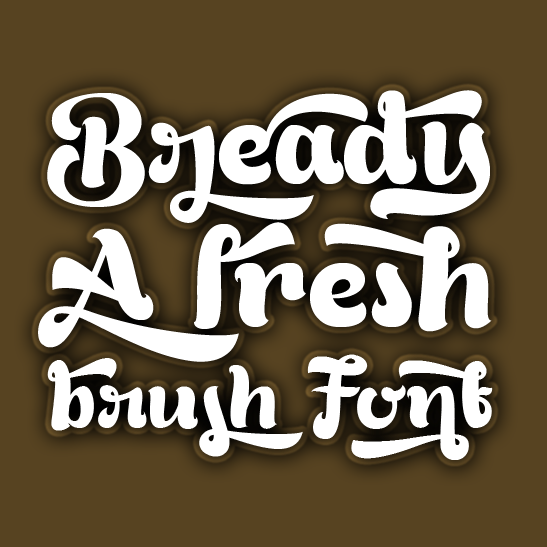 Bready: finally, a brush font that makes you smile instead of vomit! Lots of alternates and a variety of uses. Normally $60+, but you can get the demo for free here (which includes almost everything the paid font package does)! By Aring Typeface. Typeface Tuesday is a weekly sharing of fresh, beautiful, free typefaces of the world. Follow @nikkirosko on Twitter and search for the hashtag #typefacetuesday for an archive of more than 25 free typefaces!